All HAES Australia Verified Providers offer care from a weight-neutral framework consistent with the Health at Every Size principles and according to the HAES Expert Guidelines below. You can search for someone near you by entering your state, their profession, services or name into the search box. These guidelines were developed by the Association for Size Diversity and Health and can be found here. a. Is not inherently a sign of improved health and should not be the goal of wellness efforts. b. May occur as one outcome of weight-neutral behavior changes such as becoming a mindful/intuitive/attuned eater and/or engaging in physical movement with greater regularity. c. That weight gain may also result from the above pursuits, and should not be judged as either positive or negative. a. Weight loss efforts and diets are not only fruitless and unsuccessful in the long term, but may also be harmful to health, and ultimately lead to many of the problems that are traditionally associated with "obesity." b. Dieting, diet mentality and a diet culture may lead to disordered eating in all of its manifestations, which is neither individually nor culturally healthful. c. People who are confident and happy are more likely to make the kinds of decisions that lead to long-term health, as compared to those who begin from a place of self-loathing and body dissatisfaction. a. Does not create weight-based rules for someone else around how or what to eat. b. Does not create taboos by classifying certain foods as inherently "good" or "bad". c. Attends to each individual's identified considerations (i.e. preferences based on culture, religion, social circumstances, resources, etc.) without judgment, or weight-based bias. d. May encourage, but does not insist, that people eat or not eat certain foods based on their nutritional value. e. Supports a mindful, intuitive, attuned approach to eating i.e. one that attends to individual nutritional needs, hunger, satiety, appetite, and pleasure. 4. Pursues a non-judgmental and positive approach to advancing healthy lifestyle choices, never using shame as a motivator towards health. a. Perpetuate healthism, i.e. the assertion of a moral superiority attached to healthier bodies, habits or choices. b. Classify certain bodies as "good/acceptable" or "bad/unacceptable" based on BMI, size and/or weight. c. Judge health status based on body size/appearance. d. Label bodies as "diseased", or subsequently devalue them, based on body size/weight. e. Differentiate who can benefit from healthy lifestyle choices based on size or weight. f. Conflate diversity with disease, or correlation with causation. a. All people, regardless of size or weight, are entitled to have access to and receive quality medical treatment, without judgment. b. There are environmental sources of ill health, one of which is weight stigma. c. Focusing on one's quality of life and each person's felt and embodied experiences, not just "expert" opinion, is essential in provision of care. d. Weight loss surgery, or modifying functioning organs for the sake of size and weight changes, is inconsistent with a HAES approach. e. Gaining or losing weight in order to meet qualifications for surgeries or medical procedures is inconsistent with a HAES approach. 7. Does not support a particular body size/weight/BMI range as normal or right for everyone. 8. Accepts that healthy lifestyle decisions are the choice of the individual, and that each person has the right to do what he or she ultimately chooses, regardless of others' beliefs or insistences about what might be best for his/her health. 9. Confirms that all public information (websites, blogs, printed materials, etc.) provided about him/herself is weight-neutral and consistent with the HAES principles. 10. Acknowledges awareness that the Internal Policy Committees of ASDAH and HAES Australia will conduct periodic reviews of the content and links attached to an individual's HAES Expert or Verified Provider listing to ensure consistency with the requirements stated above. 11. 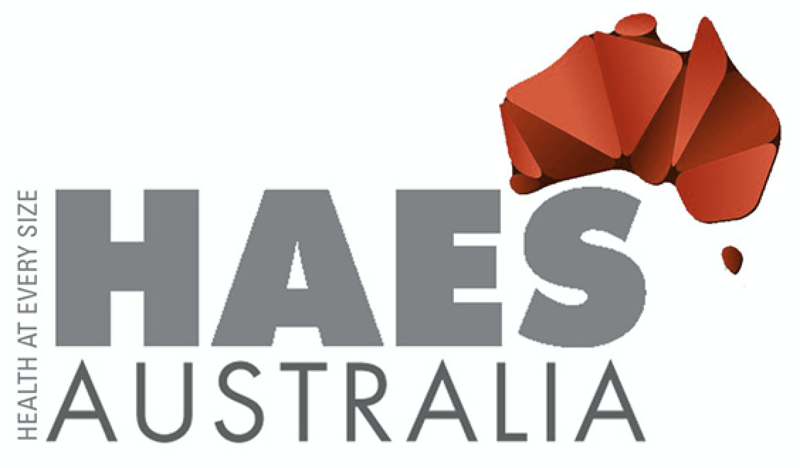 Acknowledges that the status of "HAES Expert" does not make one an official representative of HAES Australia or ASDAH or entitled to speak on behalf of either of the organizations. It is important to us at HAES Australia and for the safety of the people we serve that our listed providers are practising from a truly size accepting perspective. If you believe one of the Verified Providers listed above is not practising from a weight-neutral framework, please let us know by sending an email with your concerns to HAESAustralia@gmail.com. Thank you.